Discovered an interesting little game called In the Emperor’s Name that lets you game vicious skirmish confrontations between Inquisitors and Chaos agents in the 40K universe. (Not a fan of 40K, but really enjoyed Dan Abnett’s “Eisenhorn” and “Ravenor” trilogies.) I spent what little hobby time I had painting up reinforcements for retinues. My gaming buddy is in Hawaii. (not that I’m jealous. Oh no…) These will see action when he gets back. 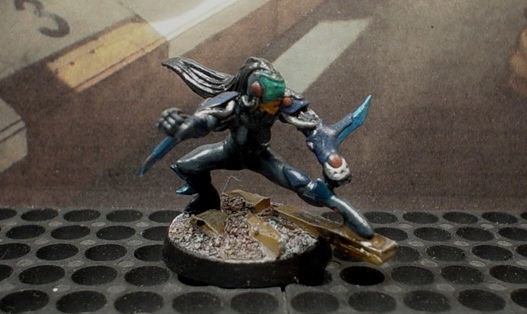 Metal character fig from Sedition Wars with minor gun mod. 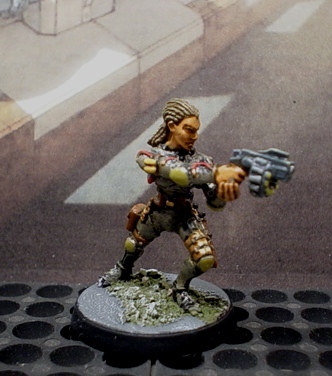 Sedition Wars next to old female sniper from Void line. 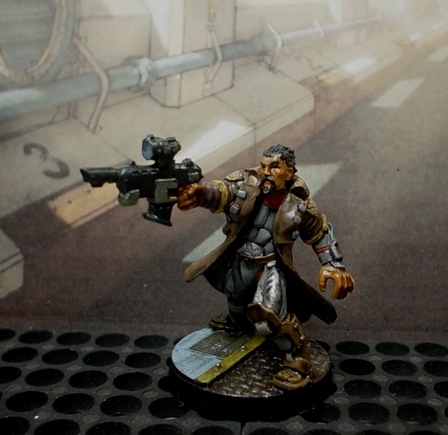 Icarus Trask from Urban War range. Close Combat Carnage. 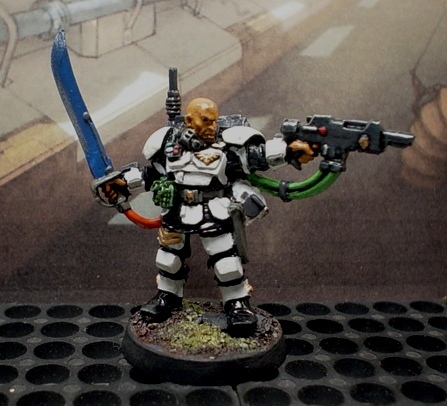 GW Kasrkin Sergeant. Shades of SW Stormtrooper. Lwt’s hope he can shoot better. 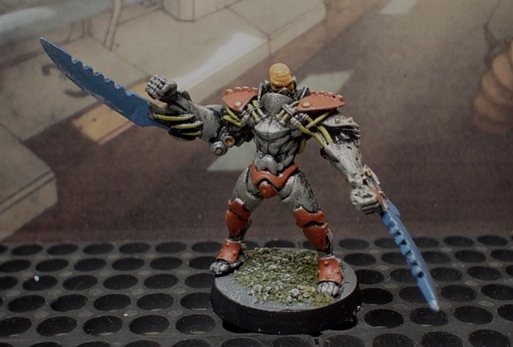 Anything that gives me a chance to use a Genestealer cult gets a thumbs up from me. 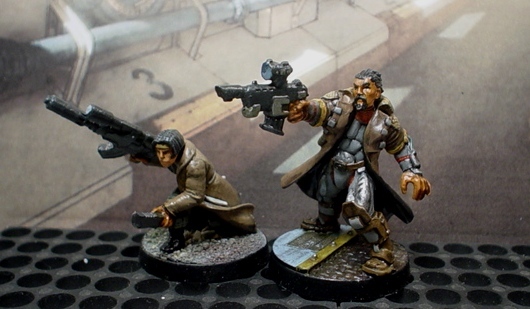 The very cool thing is even though it’s set in the 40K universe, you can slot in figs from other ranges. And there’s some very nice models in other ranges too. I saw some very nice plastic models that were a bit imperial guard-y lately, can’t remember what the company was called though. Dream Forge possibly? Space Nazis? Yes, that’s Dream Forge. Then there’s old Warzone, VOID, Wargames Factory, Defiance Games Marines… all great for bog-standard grunts or mass goon fodder.